Wow, these look great. I have never had much luck with making tuiles. 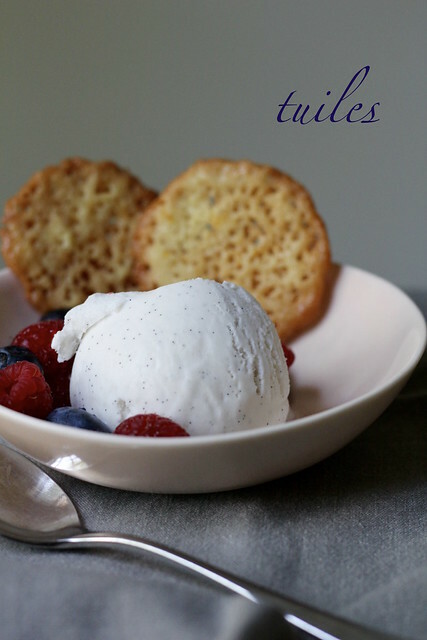 I love the delicate crunch of the tuiles – fantastic!